Bella Swan starts out living a normal life in Forks, Washington, with her dad, but that all changes when she discovers a boy who is not only mysterious, but is intrigued with her every movement. The thrilling book Twilight by Stephenie Meyer was not only a jaw dropper but a romantic fantasy that made the reader love the characters. Twilight is a novel about a girl who later finds out that Edward, the boy who has been watching her, has a family secret and it is dangerous to be with him for too long, but she takes the risk for love. “I watched his golden eyes grew perceptibly darker day by day. But in class I gave more notice that he existed then he showed toward me. I was miserable.” Bella knew there was something different about Edward and it was not hard for her to figure out what he really was: a vampire. Furthermore while reading Twilight, when the story became less interesting, the author would add a large event that would change the plot to an exciting matter. 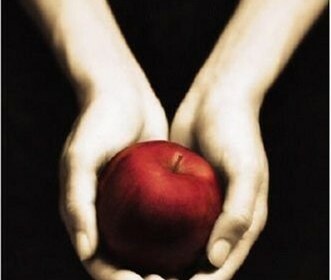 I am not a huge fan of fantasy but Twilight was instantly able to show me a different side of the genre. The book shows the unexpected by making the characters think the opposite of what will happen. Twilight ends on a cliffhanger, which means in order to find out what happens next you have to read the next book in the series, New Moon. Near the end of the novel the events start escalating and Jacob Black, another boy in love with Bella, is instructed to tell Bella to stay away from Edward, but why?